I always like to receive the latest news on the sites I visit frequently. That’s why I usually sign up to either get the site’s newsletter and accept that they show me notifications. But, some sites take advantage of allowing them to show me notifications and show me more than I would like. 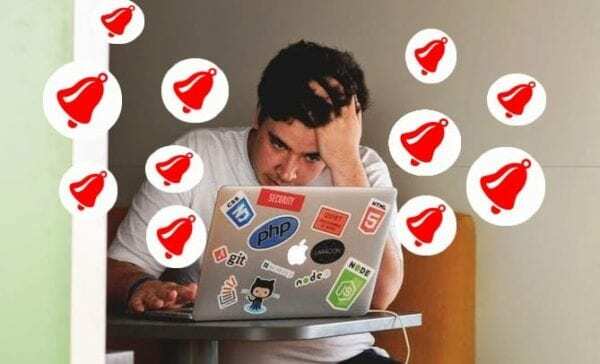 If you’ve made the same mistake and would like that other sites not even show you the notifications message, here’s how you can eliminate it. 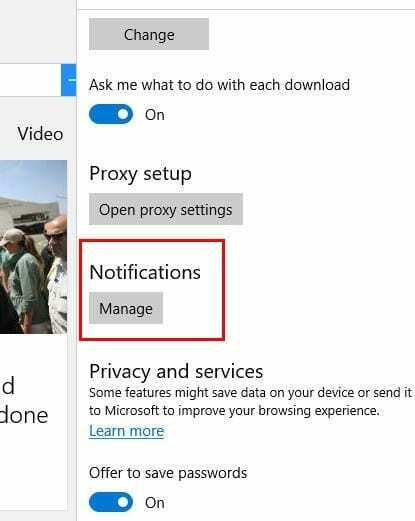 To turn off the notifications on a site in Microsoft Edge you need to go to Settings and scroll down until you see Advanced Settings. Under the Advanced Settings section, look for Notifications and click on Manage. You should now see a list of all the sites you’ve allowed or denied access. Take a look at the ones you allowed to show you notifications and make the necessary changes. Turning off notifications in Chrome is also an easy task. Click on the three vertical dots and click on Settings. Scroll all the way down to Show advanced setting and click on it. You’ll see a new set of option but look for the Privacy and security section. Click on the Content settings button and look for the notifications section. Click on it if the button at the top is toggled off then all notifications will be turned off. If you toggle it on, sites will only be able to ask if they can show you notifications. If what you want to do is disable notifications for a particular site, scroll down until you get to the Allow section and click on the three vertical dots to the right. Choose Block. The changes will be saved automatically. 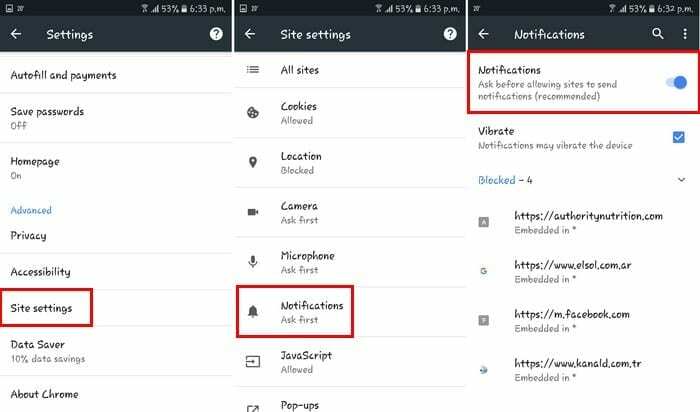 To disable notifications on your Android device you need to go to the site whos notification you don’t want to get anymore. Once you’re there, tap on the three vertical dots and tap on Settings > Site Settings > Notifications. In the notifications page, simply toggle off the Notifications button and it will display that it is now locked. If you leave it on sites will only be able to ask if they can show you a notification. Firefox has the most straightforward way of blocking notifications. 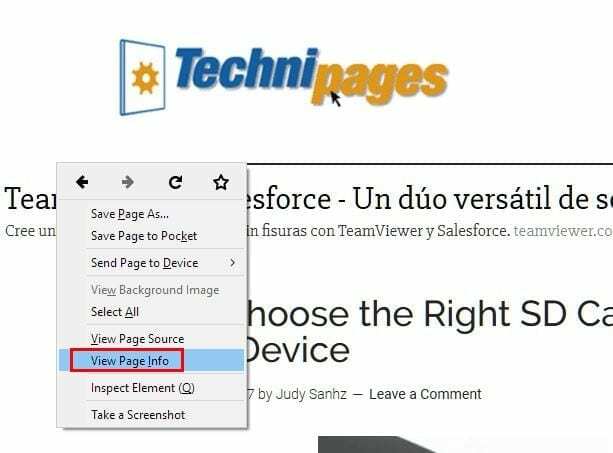 Just right-click on an empty space and click on View Page Info. A new and small window will appear with various sections.Click on Permission and Use predetermined will be checked automatically. Uncheck that box and choose Block to the right of the box. Another way you disable notifications is by typing about:config in the address bar. You’ll see a warning, but it’s no big deal, and you can click through that. A massive list of data will appear but just ignore that. Type notifications in the search bar and look for the option that says dom.webnotifications.enabled. In the value column for that same option will be set to True but double-click on it to set it to False. To disable notifications in Opera click on the browser’s icon and click on Settings (Windows ) or Preferences (Mac). Click on the Websites tab and look for the Notifications section. Select the Manage Exceptions button, and you’ll see all the sites you either allowed or denied notification access.To prevent future sites from showing you any future notifications. Notifications are useful but sometimes they can be very annoying when sites show you too many. No matter which browser you use you can make them go away and finally and get some peace and quiet. How do you deal with notifications? Leave a comment and share your thoughts.